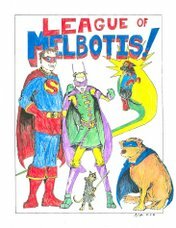 League of Melbotis: The League too old to rock? I have to say that I've never really been up for rocking. I went to see BB King and many performances of the local band, Bananna Blender Suprise, and when they opened for Mojo Nixon. I liked all of them, but it's just not my thing. 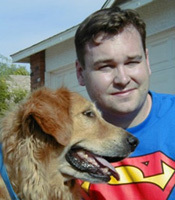 I'm missing a key element that others seem to be getting from the experience. Give me a good movie (peferably a super hero movie) anyday. The last concert I remember jumping up and down and screaming at was King Crimson in November 1995. And I had a seat at that show. Prior to that, the last concert I remember being SRO, "in the pit," was probably sometime in 1993 or 1994. Pretty early on I decided that standing for long periods of time at a show was for the birds. And yeah, I can't believe how many young people still smoke. There are many, many attractive young folks out there who are making themselves look ugly with that crap. If the League is too old to rock he needs to let hsi brother know so that his brother can make $300 off the tickets rather than just having a surly brother to deal with. I am going to ACL Fest. I just need to get in fighting shape before I go. I like the Ween, but I'm not too sure about the new EP. However, the only smoke I remember smelling the last time I went to a Ween show was not from cigarettes.